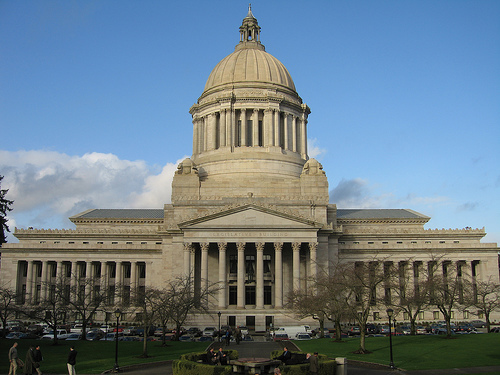 With the backing of the state's governor and attorney general, Democratic and Republican sponsors of a bill to repeal Washington's capital-punishment statute have expressed optimism that the state may abolish the death penalty in 2018. In 2017, Attorney General Bob Ferguson, a Democrat, was joined by former Attorney General Rob McKenna, a Republican, in calling on the legislature to end the state's death penalty. 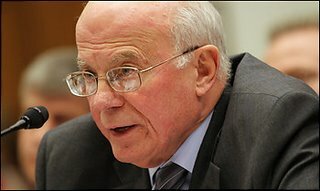 Ferguson, who has said "[t]here is no role for capital punishment in a fair, equitable and humane justice system," is pressing legislators to take up the bill this year. Governor Jay Inslee featured the bill in his January 9, 2018 State of the State address, urging legislators to "leave a legacy that upholds the equal application of justice by passing a bill to end the death penalty in the state of Washington." The bill, now numbered SB 6052, has bipartisan backing: two of its sponsors in each house are Republicans. And Senator Jamie Pedersen (D-Seattle), the chair of the Senate Law and Justice Committee, to which the bill has been referred, said "[t]he stars may be aligning now for support of doing away with the death penalty." Both Republican sponsors in the Senate have questioned the value of the death penalty for murder victims' families and stressed that capital punishment runs counter to conservative values. Sen. Mark Miloscia (R-Milton) wrote in a recent op-ed, "many murder victims’ families oppose capital punishment because it’s little more than a long, re-traumatizing process that doesn’t give them the justice that they deserve." He said continuing with the death penalty is unjustifiable given its failure to contribute to public safety, its high cost, and the "ever-present risk of killing an innocent person." Sen. Maureen Walsh (R-Walla Walla) said, "The death penalty isn’t really accomplishing a wonderful relief to [victims'] families." The repeal bill was stalled in 2017 when Senator Mike Padden, the former judiciary committee chairman, refused to hold hearings on the bill. When Democrats gained control of the state senate after the November 2017 elections, Pederson replaced Padden, paving the way for committee action on the bill. “The votes are there,” Attorney General Ferguson said. “I’m reasonably optimistic that this could be the year.” Miloscia said he, too, is “highly optimistic .... I think this is something that people on both sides of the aisle want to get done.” Washington has a similar profile to other states that have recently abolished the death penalty. Its murder rate is significantly below the national average and, as with most of the states that have done away with capital punishment, it has a very low rate of murders of police officers. The high cost of the death penalty is also a factor for legislators. According to a 2015 Seattle University study, each death-penalty prosecution cost an average of $1 million more than a similar case in which the death penalty was not sought. In an email to the Washington Newspaper Publishers Association, Senator Walsh said "taxpayers foot the multi-million dollar appeals process for the accused and we spend $50,000/year for incarceration. ... A life sentence with no chance of early release saves money and issues the ultimate punishment by denying the convicted their freedom and liberties for life.” Washington has not carried out an execution since 2010, and Governor Inslee—who imposed a moratorium on executions in February 2014—has said he will not allow executions to take place while he is in office. "The death penalty in Washington is like a zombie, not alive or dead, yet continuing to eat its way through precious resources in the criminal-justice system," The Seattle Times editorial board declared on May 21, urging the state legislature to end capital punishment. Washington currently has a moratorium on executions, imposed by Governor Jay Inslee in 2014, leading the Times to declare the practice "effectively dead." But because death sentences can still be imposed, and appeals continue for the eight men on death row, capital punishment is "still alive on the books." The editorial says this "limbo...gives no peace to victims’ families." It also leaves prosecutors to decide whether to continue seeking the death penalty, which they have done less often in recent years, "perhaps influenced by the legal uncertainty, the apparent reluctance of some juries and the extra $1 million or more that a death-penalty sentence adds to a murder case." The editorial calls the death penalty, "overly expensive, ineffective and immoral," joining current and former Attorneys General in asking the legislature to take up a repeal bill. The chair of the Senate Judiciary Committee has agreed to hold a hearing on an abolition bill if the House takes action first. Attorney General Bob Ferguson believes a House vote may uncover hidden support for repeal: “You don’t know that reaction if you don’t take a vote,” he said. The Seattle Times agrees: "The public wants bold leadership on important issues. A path to repeal is through the Legislature, either this year or next — if they have the courage to act." With the support of a bipartisan group of state officials and legislators, Washington Attorney General Bob Ferguson (pictured) and Governor Jay Inslee have proposed legislation to repeal the state's death penalty and replace it with a sentence of life without parole. At a news conference announcing the bill, Ferguson, a Democrat, was joined by former Attorney General Rob McKenna, a Republican, in calling for abolition. The bill will be sponsored by Republican Senator Mark Miloscia and Democratic Representative Tina Orwall. “Legislatures are acting on this important issue with up-and-down votes,” Ferguson said during the news conference. “And it’s time for Washington, the state Legislature here, to take that vote.” The state's death penalty, he said, "isn’t working anymore. 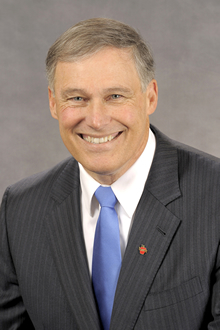 It is time to move on.” Governor Inslee said the evidence about the death penalty "is absolutely clear. ... Death-penalty sentences are unequally applied in the state of Washington, they are frequently overturned and they are always costly.” Inslee, who imposed a moratorium on executions in 2014 and issued a reprieve to Clark Richard Elmore on December 29, 2016, said, “I could not in good conscience allow executions to continue under my watch as governor under these conditions.” Washington juries have imposed few death sentence in recent years, and two high-profile murder cases ended in life sentences. In response, the Washington Association of Prosecuting Attorneys called for a voter referendum on the issue. A 2015 Seattle University study examining the costs of the death penalty in the state found that each death penalty prosecution cost an average of $1 million more than a similar case in which the death penalty was not sought. Despite bipartisan support, the future of the abolition bill is uncertain. A 2015 repeal bill, also sponsored by Miloscia, never received a committee hearing. 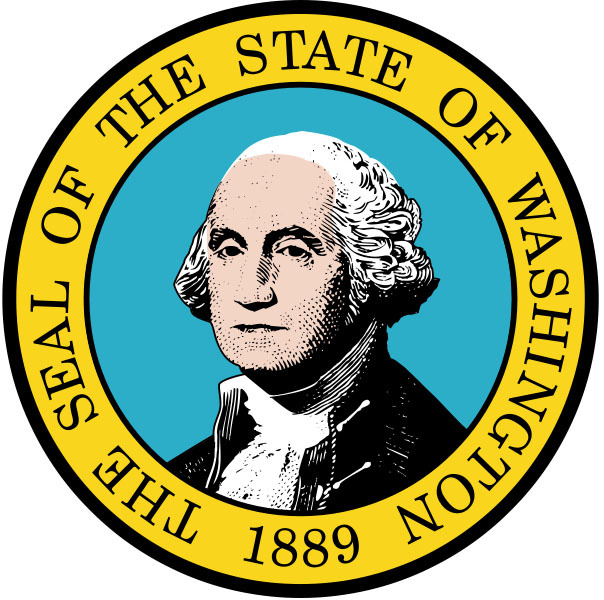 Read more about After Prior Jury's Life Verdict, Washington Prosecutors Drop Death Penalty in "One of the Worst Crimes We've Ever Had"